The Third Eye Chakra is where we have “sixth sight”, our ability to “see” by way of clairvoyance. We use this Chakra for visualization, receiving insight or inspiration. Located in the centre of the eyes, the Third Eye Chakra or Brow Chakra is related to the ability to see both physically and psychically. This Chakra is the seat of our intuition and inner wisdom and when balanced allows us access to ‘the bigger picture’ of our lives. Inner vision is connected to this Chakra. 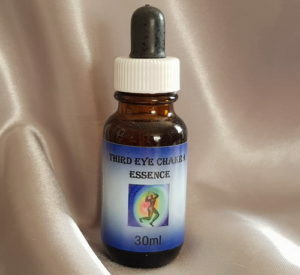 Imbalances in the Third Eye Chakra can cause blindness, seizures, learning disabilities, spinal dysfunctions, panic, depression, fear of truth, discipline, judgment, evaluation, emotional intelligence and confusion. Relates to – Indigo, Light, Intuition and the Soul Body.